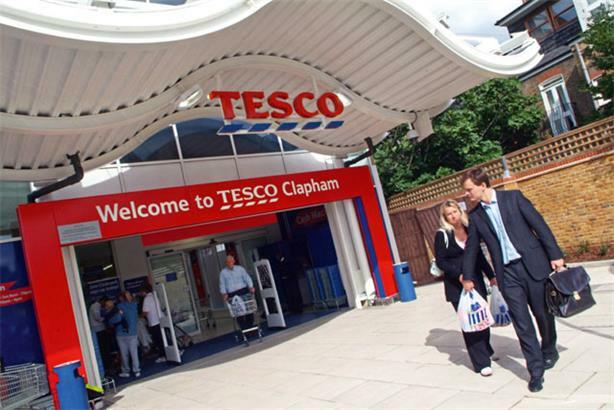 Tesco's group media director is set to leave the global retailer without a job to go to. Trevor Datson is leaving Tesco in order to take time out and consider his next steps. His role overseeing international comms will be handled by UK comms director Tom Curry. Curry, who was brought in to the newly created role of UK comms director last year from working as head of media at the Olympic Delivery Authority, will now oversee all media handling in the UK and internationally. Datson formerly worked at Cadbury as head of global financial comms, before joining Tesco in 2010, but has formerly worked at Tesco as head of corporate media relations. He has also worked at Danone as external comms director. Group executive director (corporate and legal) Lucy Neville-Rolfe said: ‘After two years as our group media director, Trevor has decided to leave Tesco and pursue career and lifestyle options outside the company. The news came as the retailer faces a fresh challenge from Waitrose, which has launched a ‘never knowingly undersold’-style pledge to match the price of branded groceries of market-leading Tesco, as it seeks to win budget-conscious shoppers. Tesco is also in the midst of a price war over petrol prices, as it and competitors Asda, Sainsbury’s and Morrisons have all announced cuts of up to two pence a litre for unleaded petrol and diesel.